My new favourite app on my iPhone 4 (yes, I queued!) is style.com. I visit the website daily but to be honest I don’t read much, I prefer the pictures! This app delivers fab imagery and great stories in an easy to read summary. I’m going to log in daily to learn something stylishy new each day! 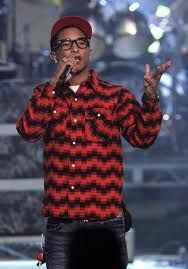 Today I have learnt that Pharrell Williams has collaborated with Moncler to produce an Eco-friendly fashion collection. Pharrell is a shareholder, spokesperson and ambassador for New York based company, Bionic Yarn, a two year old company that uses recycled bottle tops to produce it’s products.